Facebook on Friday moved ahead with some proposed changes to its privacy policies to clarify that users' posts on the site can be used in advertisements, but that users have controls to limit their appearance. In August Facebook proposed some revisions to its Statement of Rights and Responsibilities, in which it said that it can use the names, profile pictures and other data of its members to deliver ads. The proposed changes drew sharp criticism from some users, privacy groups and the U.S. Federal Trade Commission, which launched an examination into whether the amendments violated a 2011 law. The updated policies largely stand and will go into effect immediately, Facebook said on Friday. "Your feedback was clear -- we can do better -- and it led to a number of clarifying edits," said Erin Egan, Facebook's chief privacy officer of policy. 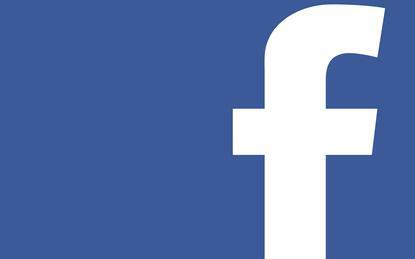 Nothing about the update, however, has changed Facebook's advertising policies or practices, she said in a blog post. "The goal of the update was to clarify language, not to change policies or practices," she said. But there was a change made in the policy's language addressing the presumption that minors on the site had received permission from their parents to have their data used in connection with ads. In Facebook's August proposal, one clause said that if a user was under the age of 18, "you represent that at least one of your parents or legal guardians has also agreed to the terms of this section (and the use of your name, profile picture, content and information) on your behalf." Based on feedback received, Facebook determined that the language was confusing and so it was removed, the company said on Friday. "This language was about getting a conversation started; we were not seeking and would not have gained any additional rights as a result of this addition," Egan said. Facebook has a number of ways that it uses people's data to deliver advertisements. One of its most important ad products is its "sponsored stories" program, which led to a class-action lawsuit and then a US$20 million settlement earlier this year. For some sponsored content, for instance, Facebook uses location check-ins or members' "likes" to have their profile name and picture paired with ads, if that "like" was given for a participating business. That advertisement would then be eligible to appear to the person's friends elsewhere on Facebook such as the news feed, timeline, or through the site's new search engine, called Graph Search. But members can still limit who sees these types of ads, Facebook said, based on who is allowed to see "likes." So if a person only allows family members to see that he "liked" a particular business, then only the family members would see the ad paired with the "like," the company said. Users can also opt out of social advertising, Facebook said. Advertising, the company seems to be saying, is par for the course on the Facebook site. "You connect to your friends and the things you care about, you see what your friends are doing and you like, comment, share and interact with all of this content," Egan said, adding, "it's social." The FTC's review, meanwhile, was launched to determine whether Facebook's proposed changes violated an earlier law governing how users' data should be displayed to certain audiences.